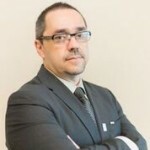 Carlos Mattos has more than 15 years of experience developing custom software for enterprise market. Graduated in Economics Science, Carlos is also a writer and frequent speaker at main industry events, having a solid background in Microsoft Development Platforms. For more than 12 years he has been Microsoft Most Valuable Professional (MVP) and as of April 2017, he is Microsoft Regional Director.